This week got away from me. On Monday, I mapped out five full days of posts in my mind and in the end, hardly managed to write a thing for this site. The combination of freelance commitments, book events and travel siphoned off my blogging time but good. Now the week is over and I’m moments away from collapse. However, before I tumble into bed, I want to take a moment to show you that when it comes to squeezing food preservation into even the most busy days, I really and truly do practice what I preach. On Wednesday, I met up with my friend Joy for an hour. We took a walk together and at the end, stopped by her neighborhood farmers’ market. I picked up a quart of strawberries, fully intending to eat them whole over the next couple of days. They got a little beat up on my drive home and when I opened the fridge tonight (just after getting back from New York and being awake for 18 hours straight), I realized that they were not long for this world. So I did the thing I’ve so often recommended. I plucked off their green leafy stems, packed them into a jar and smashed them with a wooden spoon (if they’re quite ripe, this is even easier than trying to chop or slice them). Eyeballing the volume in the jar, I estimated that I had about three cups of mashed berries. I added one cup of sugar and a split vanilla bean, put a lid on the jar and popped it into the fridge. Instead of finding a rotten puddle in there tomorrow afternoon, I’ve placed those berries into temporary suspended animation and it took all of five minutes. They’ll hold happily like that until Sunday afternoon when I’ll be able to cook them down into jam. I’ll have something delicious instead of waste. A definite win in my book. For a more organized and cohesive version of this recipe, check out this post from last spring. ← Classes and Demos: Blooming Glen Farm! Carlisle, PA! Whole Foods Market! And More! Fantastic I have a mixing bowl of strawberries that were suppose to go in lunches all week but didn’t make it cleaned out the bad ones but needed a way to save the rest. 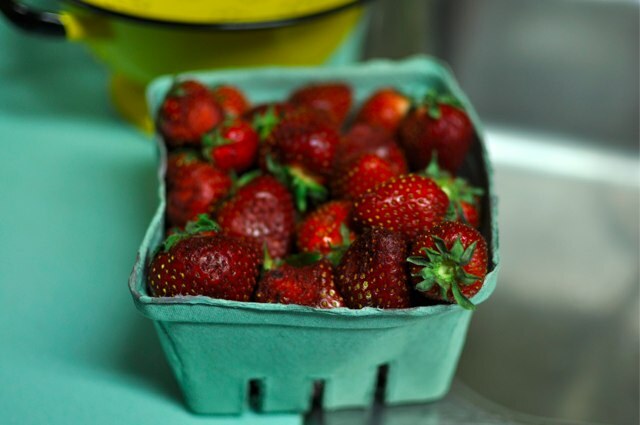 we hull, or just slice off the stem and halve our strawberries and keep them in the fridge in tupperware, they will keep at least a week, sometimes two, if you do it as soon as you get home and they still taste like fresh strawberries. this is how I got a flat and half home from cali to make jam with, process, store in cooler and transport. Excellent idea! I’m all into “what else can I do” to avoid wasting food I’ve bought. Thanks!!! Question having nothing to do with this post…Have you ever tried preserves as a flavoring for ice cream? I have an ice cream maker and I have various jams left over from last year (my first year canning). I’m thinking of making a basic vanilla ice cream and then adding the jam at the end. What do you think? Do you have a better/different technique. I’d love to know about this as well. I have some from my first year (last year) and am ready to make some ice cream. 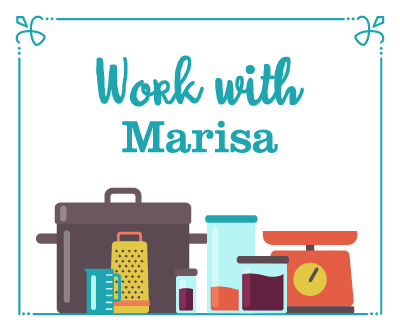 Thanks Marissa, such a practical tips as the fruit season approaches! I HAVE to remember this tip. I can’t tell you how many times life has gotten in the way of eating a basket of fresh strawberries only to find them fading away. Normally they end up down the garbage disposal after I have picked out the 3 or 4 that are still edible. I will DEFINITELY be following in your footsteps going forward. Thanks! I *found* this recipe of yours last weekend when I had 2 lbs of strawberries and almost 1.5 lbs of blackberries in need of some attention. What a life (berry) saver! Got both of them macerating seperately, ran errands, then came home and made two batches of jam back-to-back. And it didn’t even take much time! (The jam was waiting on the jars, instead of the other way around!) Given that I was on a roll, I also took some loquat juice that I had made the previous weekend out of the fridge and made another small batch (1.5 half-pints) of a loquat citrus jelly. Turned out great! Hoping that the rest of the loquats will be ripe next weekend, so that I can make some additional batches! Sounds like you had a VERY successful day of canning! Fantastic! Wow! Call me stupid, but I never would have thought of doing that. I don’t know how many containers of strawberries I’ve thrown away because we didn’t eat them fast enough. I’m going to start freezing them until I’ve got enough put away for a batch of jam. Great idea! Do you need to process this jam for 20 minutes if you live at an elevation of 4,000 feet? Emily, that is the USDA recommendation. Sorry, novice here, I really don’t want 6-8 jars of jam that I don’t feel comfortable giving away. Thank you for this website and everything you do. I will most definitely be buying your book. Emily, this recipe is still very much a jam. Jellies are preserves made with just fruit juice, sugar and pectin. 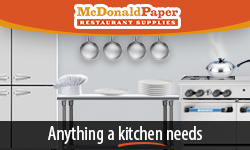 Both this site and the National Center for Home Food Preservation are trusted sites. And know that the bulk of jams and jellies are high enough in acid that you can feel very comfortable sharing them with friends. Thank you! I love this small batch canning. I pickled some asparagus the other day just because I had three bunches. Now, the same with strawberries. It is something you can do in an evening, after work even. And it makes an amount that my small family can easily eat! 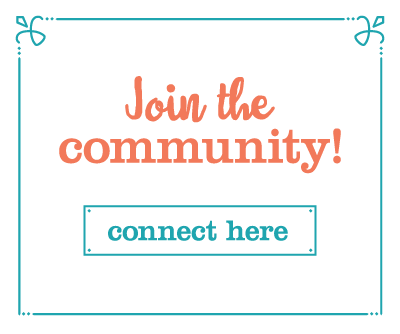 Hi Marisa, I am new to canning and I love your blog so much. 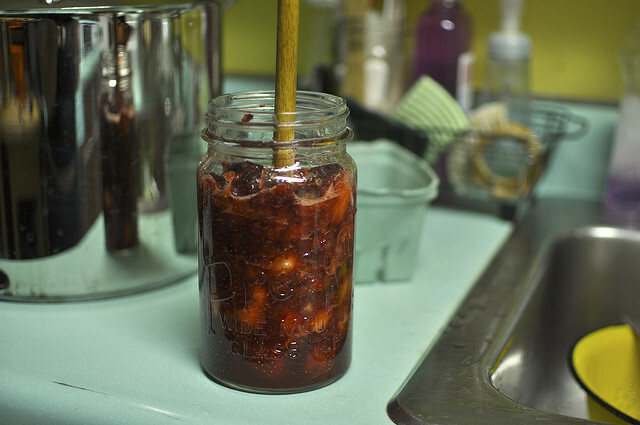 I can almost smell this jam… I have a related question about small batch canning. 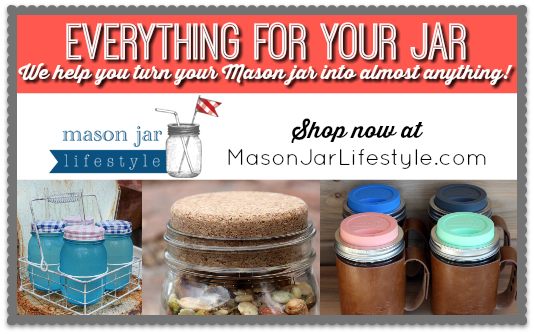 I feel like there is a lot of conflicting info out there on the internet about minimum water bath sizes and whether you can stack jars (with or without a rack in between) or not. I would love to get something like your “fourth burner pot” and make a couple little 4oz jars at a time. Why do some people say it’s not okay? And what is the minimum size for a pressure canner? And how do I scale down a recipe? Eep! Miya, the whole point of water bath processing jars is to get them really hot. As far as I’m concerned, they get plenty hot whether they’re stacked or not. I don’t know why people say it’s not okay. What do you mean by minimum size for a pressure canner? Minimum size jars? Or minimum size canner? Finally, you scale down a recipe by dividing. For the very most part, it’s just simple math. Thanks Marisa. And I meant minimum size pot for a pressure canner – my Fagor I think is 5 qt but the manual that came with it says it’s too small for canning and I didn’t understand why. As far as recipe math, I had read that you can’t always double canning recipes so I wasn’t sure if you could divide them either. Hey Miya! The reason your Fagor said it’s not good for canning has nothing to do with the size and everything to do with the fact that it doesn’t have a pressure gauge. You can only pressure can in a dedicated pressure canner with a gauge that shows you how much pressure the contents of the pot are under. If it makes sense, know this. You can pressure cook in a pressure canner, but you can’t pressure can in a pressure cooker. That said, you can certainly use a pressure cooker as a boiling water bath canner. Just don’t lock the lid and raise the pressure. 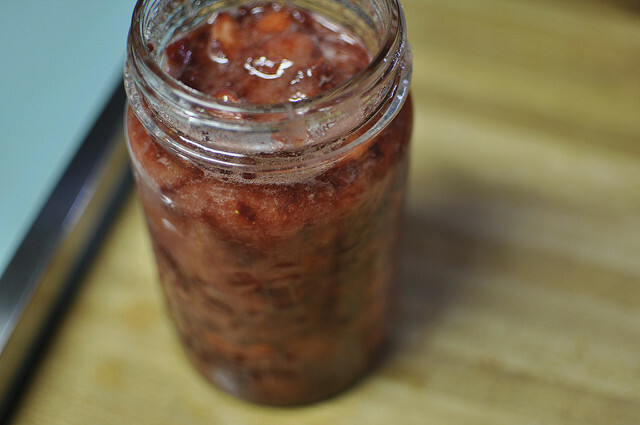 I made strawberry jam yesterday and this post reminded me to use one some of the vanilla beans I ordered recently (only my second time using them). I just got your book recently too. I read the whole thing cover to cover while laying out in the Seattle sun last Saturday and Sunday. 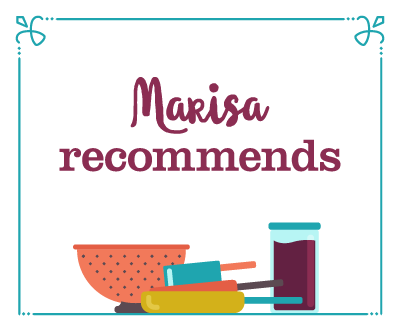 I really enjoyed it, Marissa! Last weekend I made the carmelized red onion relish and it I’ve been eating it all week on brats. Can’t wait to try your nutella-ish spread! I love your Urban Preserving posts – and this was one of my favorites. My family has a small subsistence farm, and I actually prefer small batch preserving to anything large-scale. Just this past weekend my daughter and I picked 3 pounds of strawberries from our gardens. In two hours’ time, the strawberries went from the garden to being canned as lavender strawberry jam. So simple, and I still had an entire day ahead of me! Working in an office all week, weekends are taken up by a frenzied non-stop canning marathon. I live on a farm and grow a lot of my own produce. About 50% of my canning goes to a children’s home. This summer, I have first drowned in onions, then tomatoes, then eggplant, then crab apple and just before my labels arrived from the printers, my garage with all the finished jams, chutneys and relishes and stock of new bottles went up in flames. Maybe I’ll stick to small batches for a while untill the garage is rebuilt – I am getting a canning kitchen built onto the garage as consolation! So it is not totally bad! your book arrived today, just in time to inspire many uses for all the rhubarb i know i’ll buy this weekend. i’ll have to discipline myself to make strawberry jam, as, unlike some others, i have no problem eating them all up the day they’re bought! 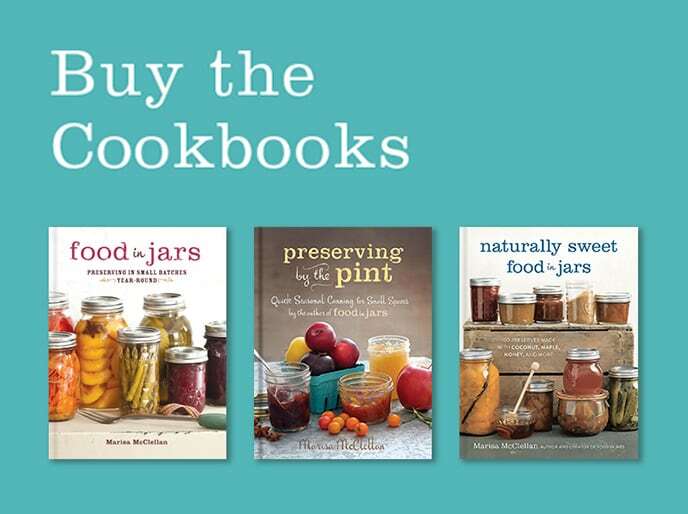 i’m also very intrigued by the cantaloupe jam–thank you for including some of your more unusual recipes into the book. I’ve been following your blog on and off for about a year, and trying to catch up when I can. I made your tomato jam and it was a HUGE HIT! I do have a simple question that I”m sure you get all the time. 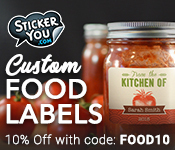 Is it necessary to use the exact amount of sugar in a recipe if you plan on canning them? I realize that it would be fine if we consumed it right away, but what about if I meant to can them? Also, I have been opening a few left over jars from last year and I’m noticing some mold under the ring. The seal is really tight and there’s nothing inside the jars. I’ve washed it off and eaten one jar, but just wanted to ask. Thank you so much, and I love this post as we are in organic strawberry overload here. I was in the same situation last summer and did something similar — but instead of adding the vanilla, I added a shot (ok more like two shots) of Godiva Chocolate Liquor. And I have to say its now become one of my favorite jams!. I have never tried canning before, but your cookbook inspired me. It is terrific! I pickled okra, beets, dilly beans, and brussels sprouts. I can’t wait till they’ve been sitting long enough for me to taste. I also made dill pickles from your recipe, but I noticed that only 3 teaspoons of salt was called for. I thought, “Why didn’t she just say 1 Tablespoon?” and then when comparing it to other recipes in the book, it seemed like most brines call for more salt, so I went ahead and figured it was a mistake and ut in 3 Tablespoons. Am I going to regret that when I try them? I appreciate your promoting this method because I’ve run across a number of canning resources that scold, “Only preserve perfect fruit! If you use substandard fruit, you get substandard preserves!” As though non-perfect fruit should be tossed to the pigs or something. My grandfather has the best-tasting strawberry jam ever but you mixing it with vanilla had caught my interest, does it really taste that good? Imma give it a try one of these days. The combination of strawberries with vanilla is really, really delicious. Wow it is a good Delicious recipe, i have yet now not tried it and now you have given the recipe so i will try it and do that one.. Thanks for the information.. I had a couple of peaches and nectarines that were getting very ripe, so I tried your stonefruit jam from the new cookbook, with the added vanilla beans. It sat in the fridge for 2 days and I made it last night. I wasn’t sure I would get to process any, It is SOOOO good. Thanks for the inspiration! Love the cookbook!!! Thank you for the reminder that I do this. My life went a little sideways this week and when I should have been canning jam, I had other things that needed to be the priority at that moment. By doing this I was able to make 4 batches of jam this morning in less than an hour and a half. I think I’ll be planning to make berry jams this way in the future. So glad it was a helpful technique!